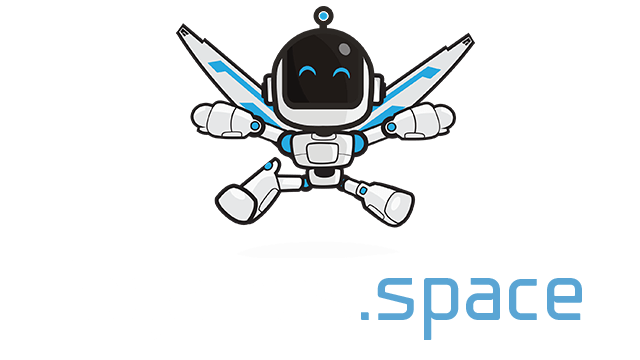 WormRoyale.io | Play WormRoyale.io free on iogames.space! The worms are getting bigger but the arena is getting smaller. Who could possibly survive such a catastrophic situation? Could it be you? Do you have what it takes to slither your way through a hex covered future map and collect jewels to grow large? Can you crush your opponents by tricking them into smashing into you? Can you use your dash button judiciously to weave in and out of trouble, follow a potential victim, and dominate the game? The answer lies in you and the choices you make. 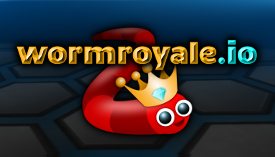 While Wormroyale.io is a fast paced, real time arena battler where tactics reign supreme, there is also a fair bit of strategy that must go into every players own individual play style. Run over gems that are scattered on the map to grow longer. Avoid knocking your head into other worms and the edge of the map. Boost to get in front of enemy players, don't get squeezed when the map shrinks. You can give the worm your own design by customizing it before you click play. Select one of the many colors and give it a stripe if you want. On top of changing colors you can select different body types and head shapes to create a truly unique appearance. There are also flags available if you want to represent your country, favorite youtuber or some random meme. You can unlock crowns if you place high in a round. First, second and third place grants you a gold, silver and bronze crown, getting 10 kills or more in one round gives you the purple crown. The crowns can then be equipped in future matches. Start as an egg, hatch, grow and dominate the battle arena! The map shrinks over time and you will compete with other players for the victory royale! Turn in front of other worms to eliminate them. Eliminated worms will drop all of the gems that they have consumed during the round. There are some super gems scattered on the map that are worth 10 times more than regular gems, boosting worms may occasionally drop super gems. Boost to get a competitive advantage when cutting in front of other worms. Boosting will make you shrink and drop gems on the map so it is wise to only use it when it is necessary. You can boost even if you have zero length. Each round is roughly 10 minutes long if you make it to the end. The map shrinks a bit each minute forcing the worms to battle for their place in the end game. The worm will explode if you hit the edge. While the edge is shrinking it is possible to be outside the edge until it has completed the shrinking. Try to gather as much food as possible in the early part of the game as it will give you an advantage in the end. use boost to get the super gems if other worms also are trying top eat them. Use the minimap in the bottom right corner to see where other players are. Navigate the middle of the map early to avoid getting trapped outside the map when it is shrinking. One way to eliminate other worms is to block them from entering the map when it is shrinking by going close to the edge with your worm if you are long enough. The numbers above the minimap shows you how many players that are left on the map, the amount of players you have eliminated and the time until the map has completed shrinking. The game stores your games that you have played on the same device, you can scroll though all your games if you click the stats button in the top right corner. Each game stores your length, amount of kills, your place and what date you played.